2017 KIA FORTE LX! ******* ATTENTION: $750 DOWN AND YOUR LICENCE TAG. OVER 105 VEHICLES ON PREMISE HURRY 44 YEARS IN BUSINESS HERE! Surprisingly roomy interior and large trunk; smooth ride at highway speeds; quiet, great gas mileage. Perfect for everyday use or long commutes. 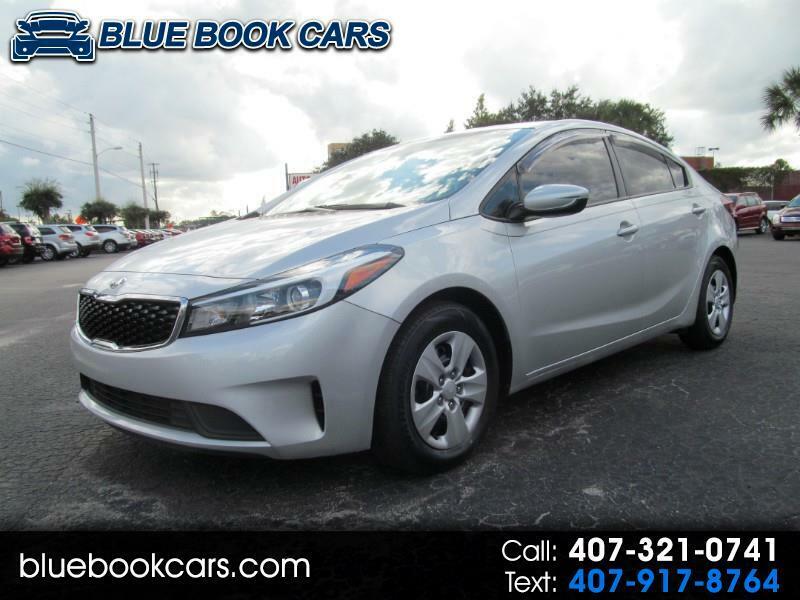 This 2017 Kia Forte has Bluetooth, MP3 w/ USB and auxiliary inputs, Steering wheel audio controls, Power windows, Power locks, Power mirrors, Cruise control, plus much more.. Welcome to Blue Book Cars, serving Central Florida for over 43 years! We have over 20 top lenders ready to compete for your loan, serving ALL credit needs. If this is not exactly what your looking for, ask about our special purchase program through the auction, and corporate sales that lets you hand pick your new used car at Blue Book prices! We have worked with schools, churches, large and small fleets, businesses, missionaries and our favorite local clientele! Internet prices are cash or 740 and above beacon score for financing, must have copy of ad at time of purchase. Message: Thought you might be interested in this 2017 Kia Forte.